Hand Dyed and Made to order, so can custom make for your outfit in other colours by request. Hand Sewn Headpiece called "Steph". Made to order in 10 working days. 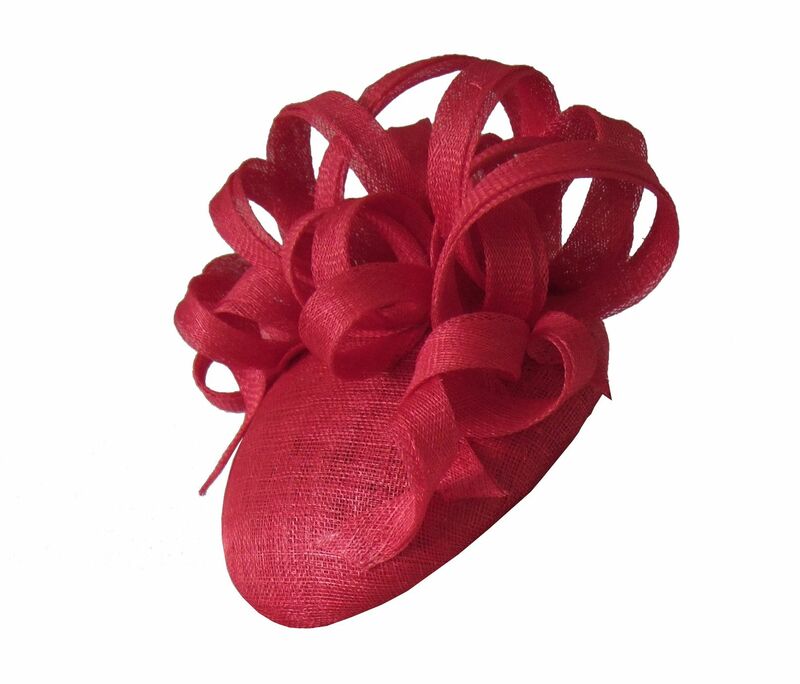 "Steph" is a Coffee Bean Shaped Headpiece, Hand dyed and Hand blocked in Watermelon Sinamay, and adorned with Twists in the same sinamay. 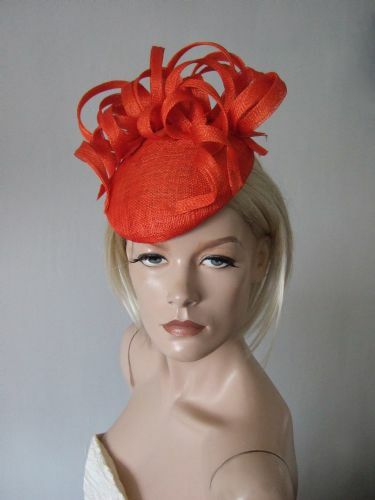 Hand Dyed and Made to order, so if require in a different colour, then am sure we will be able. Just ask. Drop us an email. 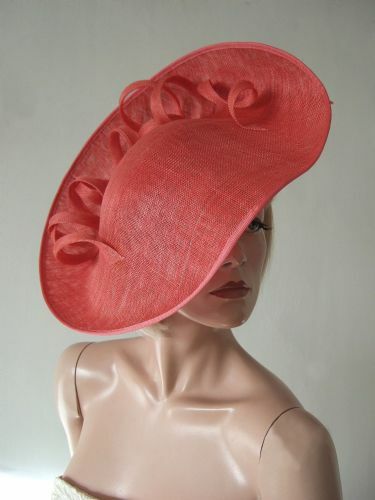 This headpiece has a 7.25" x 6.25" Coffee Bean Shaped Base (Large Enough for Ascot Royal Enclosure), with the Sinamay Twists suspended further out of course. Attached using both a comb on the underside at back, and a elastic band that you wrap around the back of head, under hair. 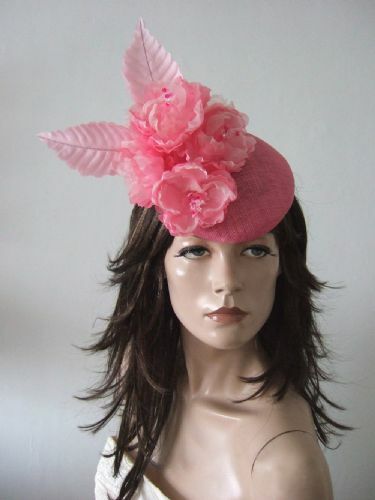 If don't require the elastic it can simple be rolled up inside the headpiece. Outfit Ideas - For a Spring or Summer wedding, pair with Orchid. Purple Jewel Tones are always great for weddings, and this combo is fruity, and unexpected. No one else will be wearing the same outfit. The Dress above is: A.L.C. Click to view Dress. 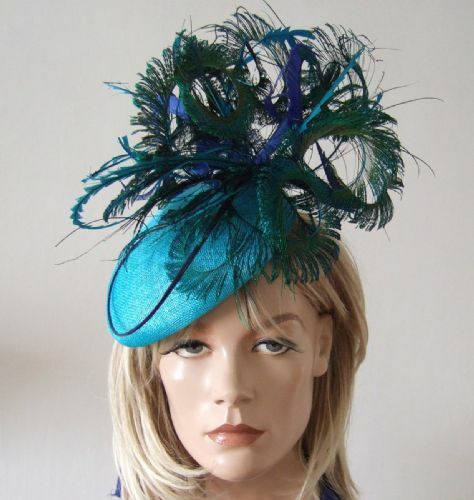 Turquoise Blue Green Peacock Ostrich and Pheasant Feathered Beret Headpiece Hat "Marissa"
Handmade and dyed, so can custom make for your outfit in other colours by request. Every Flower Handmade and dyed, so can custom make for your outfit in other colours by request. Welcome to the Store. 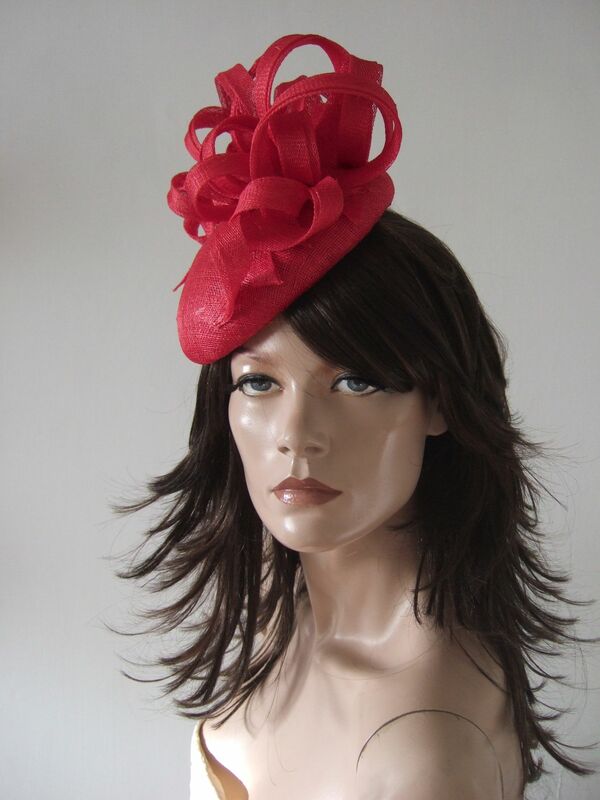 You are visiting the Store for Handmade Headpieces, Fascinators and Accessories. 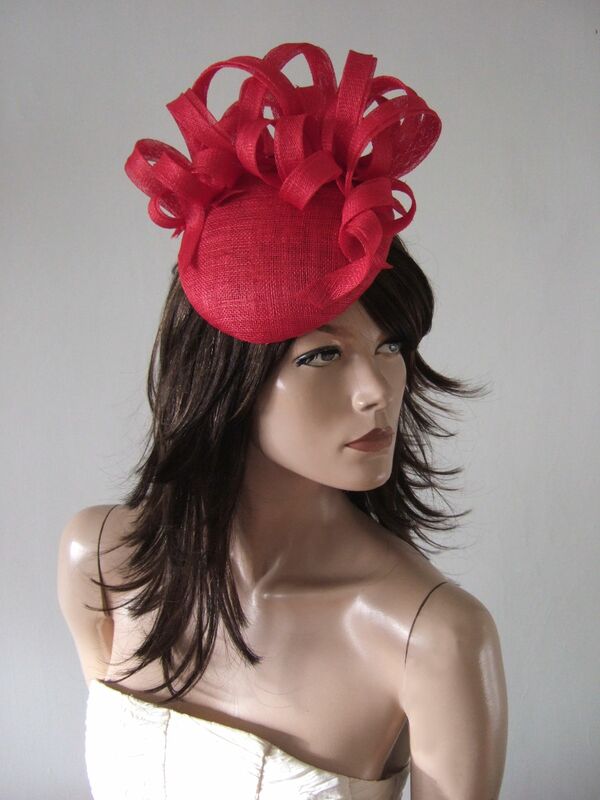 Please browse, and you are sure to find the perfect Millinery for your event. If you need customization then please don't hesitate to get in touch. If you require more information please get in touch. 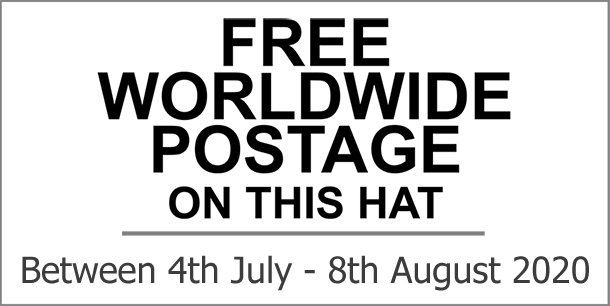 Email: enquiries@dress-2-impress.com. Tel: +44 (0)1344 891755 Mob: +44 (0)7958 950303. Keep up to date. 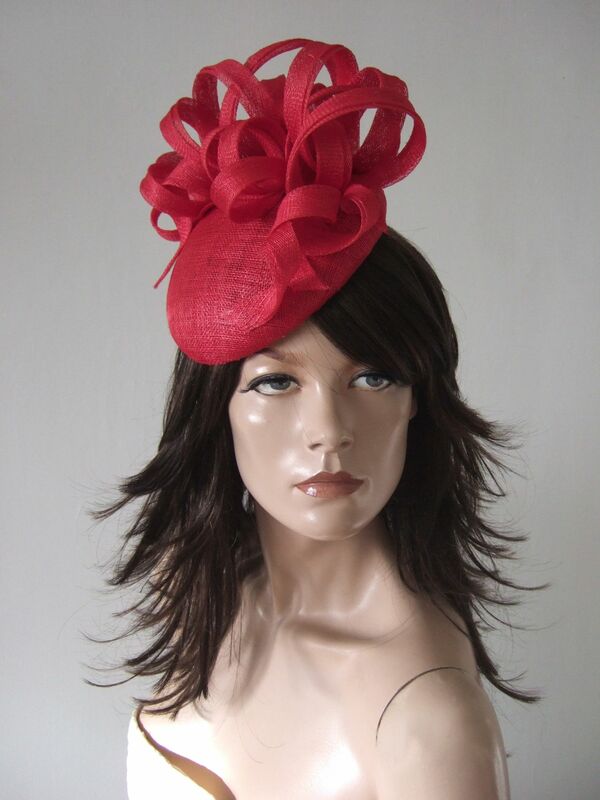 Subscribe for Millinery, Wedding, Racing Fashion inspiration, tips, offers and more.